I’m a simple creature, so I prefer to think of seasons in months, i.e. June, July and August are summer, September, October, November are autumn, you get the drift. All this mid month change of seasons malarky doesn’t really work for me, so for me (and a lot of people), 1st June is the unofficial start of summer. 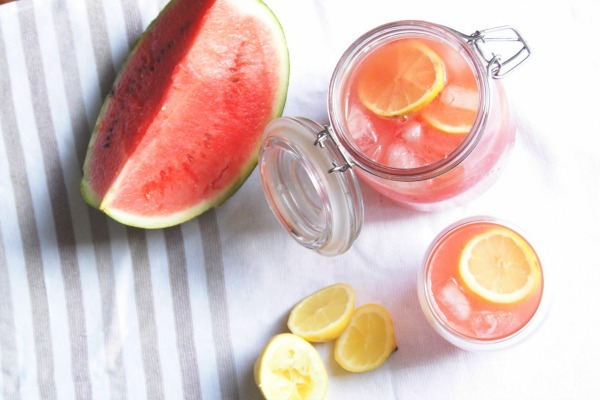 To celebrate this and a day of beautiful sunshine (which, in the UK, is no mean feat to achieve), we had a glass of one of the most summery drinks around – watermelon lemonade. The recipe I found is from one of my favourite food blogs, Smitten Kitchen. I adapted it ever so slightly, but it is very close to the original, which you can find here. Their version isn’t too sweet, so you can keep sipping it all afternoon whilst you laze around in the sun. This recipe serves four. 1 cup of watermelon puree (I swished mine up in my blender and then sieved it to get rid of any tough bits). 6 tablespoons of simple syrup (make your own by heating equal parts sugar and water in a pan until the sugar has dissolved, then allowing it to cool). 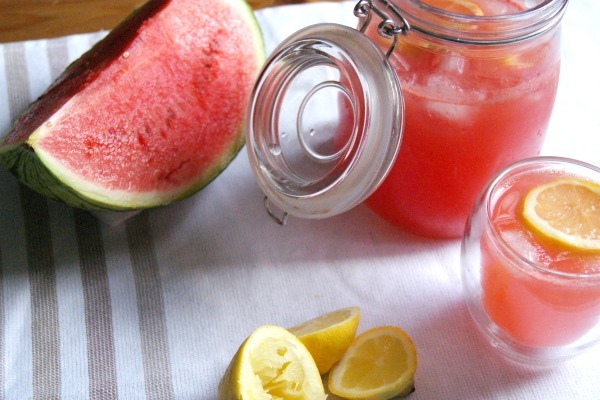 Pretty simple really, mix together your watermelon, lemon juice and simple syrup. As I like my lemonade to be fizzy, I use soda or sparkling water, but it's really down to your preference. If using soda or sparkling water, add the fruit and sugar mixture slowly to prevent a fruity foam issue.